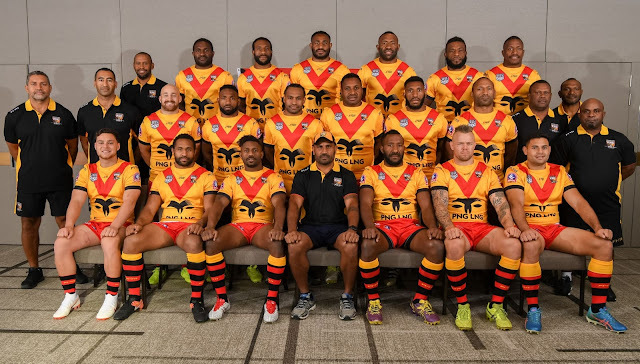 The PNG LNG Kumuls preparation for this Saturday’s Pacific Test against Fiji Batis was dealt another blow today when fullback Adex Wera was suspended by the Queensland Rugby League (QRL) judiciary for two matches. This follows the withdrawal of Nene McDonald by the St George Illawarra Dragons medical team for a shoulder injury. PNG LNG Kumuls Coach Michael Marum said from Campbelltown this afternoon that Wera was cited for a biting charge in last Friday’s ISC game against Ipswich Jets and will sit out the next two games. “Adex was suspended by the QRL Judiciary for two matches. That means he will miss this weekend’s Pacific Test and the next SP Hunters game,” Marum said. He said Wera will return to Port Moresby tomorrow. “It’s too late in the week now to get a replacement for Adex to join the camp,” Marum said. Marum has named Justin Olam at fullback with Junior Rau to debut as Kumul No. 285 on the wing. Rhadley Brawa becomes Kumul No. 286 when he runs on off the bench. The game against Fiji kicks off at 4pm at Campbelltown Stadium on Saturday. This will be followed by Tonga vs Samoa at 7pm.